07 Feb 2019 / 19:10 H.
THE move by several states to increase water tariffs is not only long overdue but logical. Water operators cannot continue to gamble away depleting water resources by selling this precious commodity dirt cheap. For the quality treated water that they produce, the current tariff is fixed at well below cost. Treated water is not cheap to produce. While water resources or sources look assured with plenty of rainfall and rivers, there’s no guarantee things will remain the same. Then we have climate change, polluted rivers, population pressure and concerns worldwide over water security and scarcity. No one in their right mind would mind paying more for water if the tariff is fixed at a more decent rate because everyone knows that unlike other commodites, water is life. Malaysians have been pampered for far too long with virtually the world’s cheapest water for the quality that we enjoy. Minister of Land, Water and Natural Resources Dr Xavier Jayakumar recently assured consumers that we can safely drink water straight from the tap. This cheap water phenomenon is compounded in Selangor, the nation’s most populous and developed state, which in 2008 introduced its free water policy for the first 20 cu m of consumption for households or equivalent to 20,000 litres. Imagine giving free 20,000 one-litre bottles of water monthly to each household. This is a lot of water to give away including to wealthy consumers with small families who for over 10 years have been paying nothing for life’s most important resource. It doesn’t make sense and I know of no other place that’s been so generous with such a precious commodity. The Selangor state government has been bearing tremendous financial costs. It has so far spent over RM1 billion to pay the water concessionaires in lieu of the free water policy. As someone who has been writing on water issues in this column, I applaud the decision announced recently by Selangor Mentri Besar Amirudin Shari that there would be a review of the free water policy introduced by then mentri besar Tan Sri Abdul Khalid Ibrahim. He said under this review, free water would only be enjoyed by the lower-income group or B40, and no decision has been made on increasing the tariff. This matter is being discussed with the Land, Water and Natural Resources Ministry and the National Water Services Commission. Amirudin said if there’s going to be an increase, it won’t burden consumers. To me, charging a more decent rate for water is a moral issue rather than merely a financial one. Charging more for water won’t burden domestic consumers and could even lead to more frugal consumption and prevent wastage. The average family is spending more to top up the handphone credit of even their grown-up children than for their water bills. Doesn’t this mean that people won’t have much qualms about being charged more for water? The water situation in Penang, the second most developed state after Selangor, is equally noteworthy. The state is mulling over a water tariff increase to fund water supply projects, including investments worth RM501 million for the next two years. Penang’s water demand has increased by 11% over the nine years to 2017 to 826 million litres per day while its customer base went up by almost 27% to 604,000 in the period. Even a more glaring increase of 47% was recorded among the economically vital multinational manufacturing companies, hotels and other businesses. To indicate how much water is being charged to consumers at below cost, Perbadanan Bekalan Air Pulau Pinang Sdn Bhd chief executive officer Datuk Jaseni Maidinsa said due to increased domestic consumption, its water subsidies for the past two years alone amounted to a whopping RM163.2 million. I am told that states that are trying to increase their tariffs are waiting for approval from the Cabinet’s new Tariff Setting Mechanism (TSM). The TSM will then be gazetted and applicable nationwide while Jayakumar is looking at April 1 as the possible effective date for the TSM to kick in. After that, all water operators will submit their applications to SPAN using the new TSM formula. Jayakumar said that the federal government won’t collect water revenue from the states but will invest in the development of water-related infrastructure. 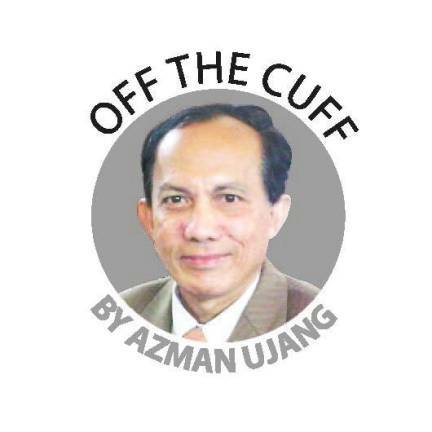 As far as water is concerned, there is a dire need for Malaysians to give it the “respect” that it deserves and to pay accordingly and equally important, to leave politics out of it.